As is known, one of the most important documents of the Preparatory Commission to be approved by Vatican II was a whole document dedicated to advance Mariology and stress the universal mediation of Mary in obtaining graces for men. 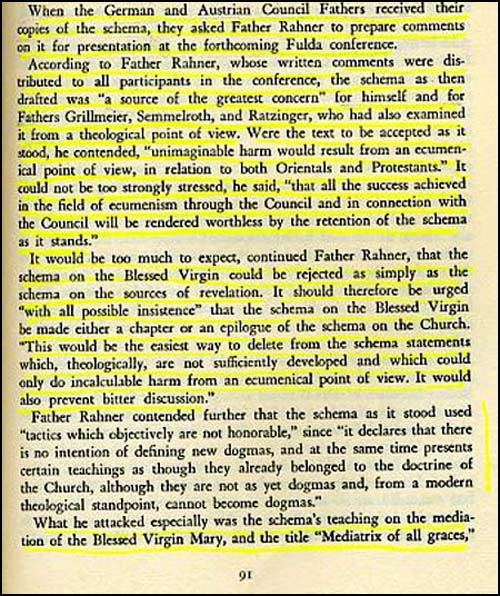 In January 1963, after the first session of the Council ended, the Coordinating Commission sent that draft (schema) to all the Episcopates around the world to study and give their opinions for the next session to be opened in September 1963. Actually, the Council rejected that entire document dedicated to Our Lady; it also refused to allow a summary of it to be introduced in the Constitution that dealt with the sources of Revelation, (Dei Verbum). It only permitted that a summary be included in the Constitution on the Church (Lumen gentium) in order not to give Mariology too much importance. Behind those various diminutions of the role of Our Lady at Vatican II was a study made by Fr. Karl Rahner assisted by three other theologians, among whom was Fr. Joseph Ratzinger, today Benedict XVI. 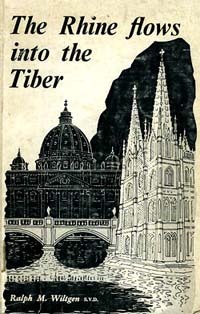 The book The Rhine flows into the Tiber, by Fr. Ralph Wiltgen, reports the origin of those rejections. 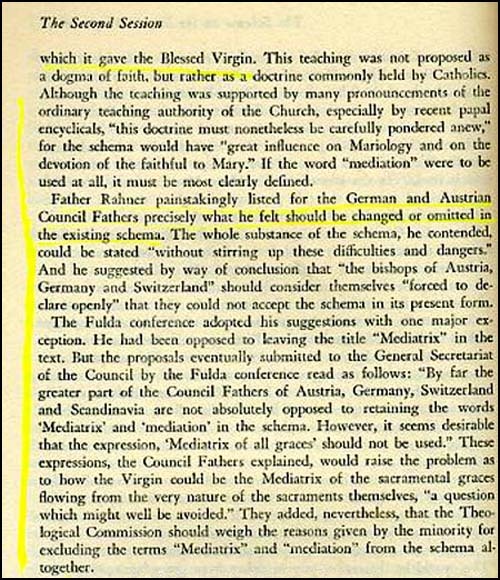 We think that our readers would be interested in knowing how Mariology was sabotaged at the Council. At right, above, the cover of The Rhine flows into the Tiber (Devon, England: Augustine Publishing Company, 1978). Below, photocopies of pages 91 and 92.